Suitable for both fresh and salt water aquariums. Ideal replacement media for all types of filters. Perfect for wet dry top filter systems. 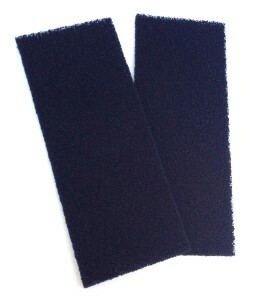 Carbon coated�sponge pads quickly removes colours and odours chemically. Also mechanically cleans the water by trapping suspended solids and contaminants.